The land of social media is constantly shifting and changing. From popular mainstay sites to new and trending sites, it can easily be daunting for even the most experienced internet user. Despite this, there a number of larger social media channels that could benefit you and your business. We have listed the current top social media sites, and what they are generally used for. By far the largest and most popular social media site, Facebook is great for businesses wishing to start making a social media presence. It is mostly used by a general audience, but with more of a focus on people aged 25-50. While many people use it for personal accounts privately, Facebook allows businesses to build an interactive public account for exposure. People who like your product or service will show their support by giving your page a like or leaving a comment. Your page can either post original content in the form of text, website links, photos, or videos, or it can share other posts by other accounts and link to them directly on your page. The intent of Facebook is to allow your business to be more open with your loyal customers, and lets you be more personable with people. Good examples of businesses on Facebook – Starbucks. Twitter is like a bite-sized cousin of Facebook more suited for mobile browsing. A wide verity of businesses and celebrities use Twitter for interaction and engagement with their fans. Communicating with 140 character posts called tweets, it allows for clear and fast communication to your followers. People who like your tweets can retweet or like them, and even reply to them with their own additional comments. Twitter also allows for media-based tweets on your account, mostly revolving around photos and videos. While you may be limited to 140 characters per post, you can make your point clear by using hashtags – core keywords that accentuate your tweets in searches. If your business grows large enough, you can also verify your account to let people know you’re official! Good examples of businesses on Twitter – Threadless. The rising star of 2015, Instagram is still hot property in 2016. 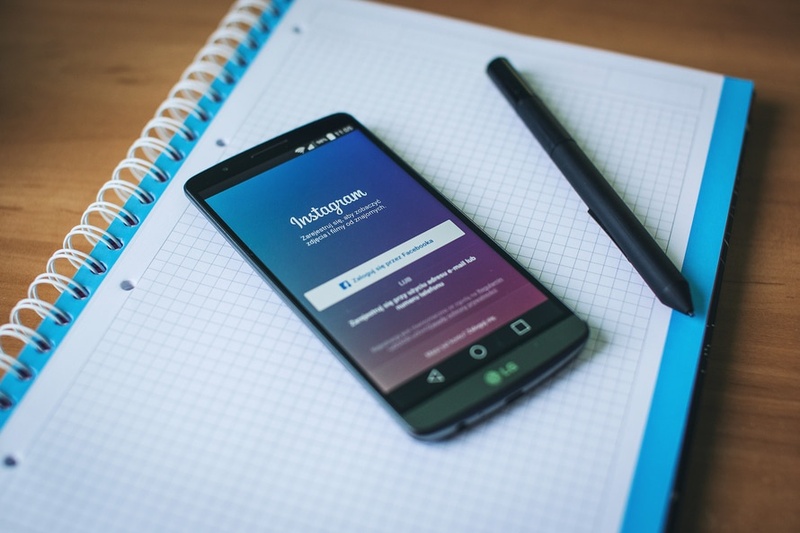 It’s not surprising why – Instagram is currently the most effective way to grow your online brand visibility. Used mostly by people aged between 17-35, this distinct visual focus provides Instagram users with a more glamorous way to engage with brands. With a focus solely on sharing photos and videos, Instagram acts almost like a professional photo album for your business. Like Twitter, hashtags accompanying your content is perfect way to communicate your messages and grow your audience. Followers can like and comment on your images, and are far more likely to do so with this platform than any other. While you can view Instragram on a desktop or laptop, it is primarily used on phones...making it a great "here and now" tool. Good examples of businesses on Instagram – Expedia. Toting itself as a “visual bookmarking tool”, Pinterest is a highly creative-based site that focuses on crafting and sharing ideas with a visual focus. Used mostly used by women aged 25-40, Pinterest is one of the few social media sites where women are the in the clear majority of users. You can pin a verity of photos, videos, links, or other content to a personalised board available in a public space. These boards can be divided and sorted however you like, but it is recommended to keep them to a clear theme. Followers who like certain pins can repin select content, or follow your boards in order to keep up with any further updates. Good examples of businesses on Pinterest – L’Oreal. YouTube is by far the largest and almost unrivalled champion of online videos in 2016. With its fast and effective way to upload, share, and watch videos, there is no question why brands still use it as a core part of their social media mix. As a business, YouTube is perfect for tutorials, questions and answers, or even behind the scenes footage of your business. With YouTube, your imagination is your limit! Your videos can also be easily embedded into your website, and integrated to your other social media pages for increased exposure. People can not only like your videos, but also dislike them. You have the option of disabling this option if you feel that it takes away from the video. People can also leave comments, and even subscribe to your channel if they feel that you are providing good content! Be careful with copyrighted music, as YouTube is being increasingly strict with who uses it and how. Good examples of businesses on YouTube - Coca Cola. Originally the black sheep of social media, many people saw Google+ as a less-popular Facebook. Things have recently started to turn around for the site though, with more men aged 25-35 joining each month. While similar to Facebook, Google+ functions using Google Circles to segment and divide people you follow. The primary benefit of having a Google+ page is a higher placing on Google searches for your business. This is especially helpful if you aren’t being found often on Google. People who like your page will +1 it, which functions similarly like a Facebook like. Google also offers more options for higher-quality photos, and live video chat services that may be utilised for any business plans or evens. Good examples of businesses on Google+ - Toyota. While not targeted towards your customers, never underestimate the importance of a well-made business profile. Perfect for if you are trying to increase your notability in your industry, LinkedIn provides you with a professional and minimal-hassle way to spread your business name with the professionals that matter. Building and maintaining your profile allows for opportunities for business networking, person-to-person networking, or even just keeping up-to-date with the latest news in your industry. The downside of LinkedIn is that you won’t find as many fans or customers for your brand on here – it’s all business here! While this list does not encompass all social media platforms, this list will allow you to have the basic tools to start, build, and grow your digital capital in an increasingly expanding environment. Remember to sign up only to what you can manage, and social media will start becoming less daunting and more exciting to learn and grow with! Here at Caboodle we offer social media management plans and social media training. Contact us for more information.